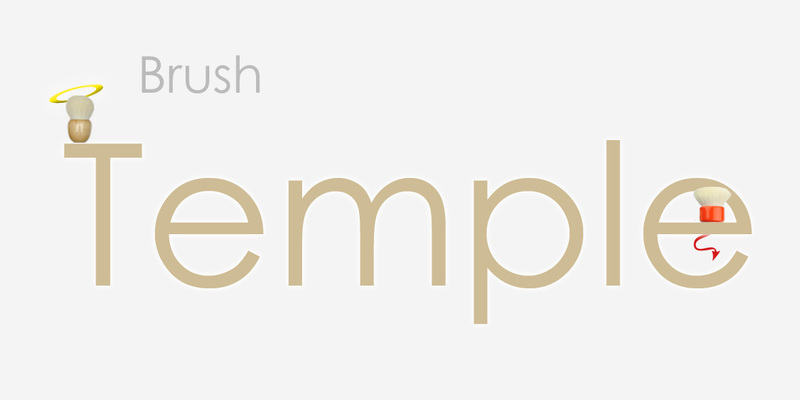 I am very happy to tell you that the first Beta version of the brush database is now online, it’s meant for those of you who need more details on makeup brushes or accessories, with comparison pictures and searching possibilities. I know how hard it is to chose the right tools, this is not the solution but hopefully, a bit of help to have a closer look. There are near to 300 items listed for now, solely based on the brushes I own, that’s also why I can share more details about them, because I use them. It’s not yet complete, some items still need to be finalized, it will evolve, more brushes will be added little by little and more details or attributes will be activated. As you can imagine it is very time consuming and time is a luxury we cannot buy so I’ll have to be patient and do it one step at a time… but it’s a start. I am not affiliated with these Companies and my preferences do not represent the whole beauty community, although I am a collector I am not only seeking for unique and expensive luxury brushes but also for very useful tools of affordable quality, within my collection you will see from the most expensive brushes to the most interesting value for money. I also don’t own all the brushes in the market and there are brands that are still unknown to me (thank God!). In the near future you will be able to leave your own review on each item if you wish, just trying to fix the bug that doesn’t allow me to open that feature right now but as soon as this will be available I’ll inform you in the Forum, there is a dedicated section where we can have discussions around the Temple and where I will be able to inform you when I have fresh news for you. If you click on the above image you will be linked to the “Brush Temple” you can read some info in the Temple homepage on how it works but it should be pretty simple and straightforward, should you have any questions, remarks, observations, requests, etc… you are very welcome to access the dedicated topic on the Forum to discuss ^_^ You can also leave a comment here or send me a private message via the Contact Me form also accessible on the Temple. Welcome to the new Fun side of the Blog : The Brush Temple was last modified: September 22nd, 2014 by Sonia G.
I can’t find the databse 🙁 the image just links up to the jpg file. Nevermind! I saw the link in the side bar! Thank you Sonia! I’m sososos excited about this (if you haven’t noticed by my gratuitous use of exclamations marks). 😀 Thank you for the info!! have fun Angela! I hope you love it! love, love , love!!! Thank you for all that you do here Sonia. Thank you Michelle 🙂 it’s my pleasure! Merry Christmas to you Sonia! Love the Brush Temple, so much fun! Thank you Mandy 🙂 and all the same to you my dear! Many kisses to ALL of you and a HAPPY HOLIDAYS!!! May ALL our brush-wishes come true in the New Year!!! Sure I am loving the FU-Shikaden, a lot! I am relieved I decided to go for the big powder as well, so unique and useful. My very warm Wishes to you too! Amazing work, Sonia! I can’t wait to spend more time exploring… especially “The Seventh Heaven” page. Thanks for the amazing Christmas present, lol! Merry Xmas to Sonia and you all lovely ladies! Have been distracted lately but found your golden temple today, it’s better than anything a reader can expect from an independent blogger, you have done a beautiful job. Sonia, Congratulations on the launch of this absolutely mind-blowing accomplishment! I cannot believe the incredible detail provided in a format that is so easy to use and entertaining as well. Just when I thought you’ve done it it all, you continue to raise the bar and do even more amazing work. I am in awe. Although I have a lot of brushes and thought I didn’t need anymore, I want to read everything to make sure I haven’t missed out on something special. Thank you for the lovely Christmas present! 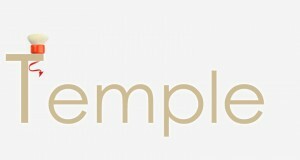 Hi Sonia, just wanted to update you and let you know how helpful the Brush Temple is, particularly the ratings and links to past reviews and where to purchase. After hours of study, I ordered the Koyudo Fupa 14 as it seems to be a real winner appearing in several categories (although I rarely use powder foundation…but I might now 🙂 ). I also gave away good but not outstanding brushes that I don’t use often (your ratings informed me or confirmed my feelings about them). Lastly, I contacted Chikuhodo with intent to upgrade with a few more luxury face and cheek brushes. I thought I was done with acquisition but I guess not! I’m really pleased with the editing I’ve done. It feels good to keep only what I love and I am again excited to add in a few treasures! Happy New Year to you and your loved ones. Much love, aloha, and best wishes for a beautiful 2014!! Still working on it but I hope it will get even more clear. My Fupa 14 arrived today and it is the most beautiful brush ever! The hair is perfectly shaped and soft and resilient and the matte gold ferrule divine…it picks up powder foundation and magically deposits it all. I am absolutely stunned! This is my favorite Koyudo, second is the Red Squirrel. Still not loving my slightly stinky White Mushroom and not using my liquid foundation Fupas much (prefer fingers)….but this one is a true gem…what a deal for 6,000 yen…I cannot believe it. I love the little handle, easier to handle than my Hakuhodo medium Saikoho kinoko brush and softer and slightly less dense which makes it feel heavenly! 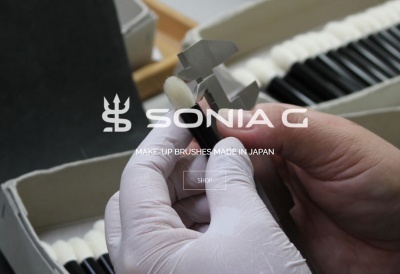 Thank you, Sonia…finally, the perfect powder foundation brush! I agree the Fu-pa14 is a masterpiece, I had to order the white handle one a few days ago because it will get used a lot, specially in spring and summer. For those who are really into mineral foundation this is a godsend. Oh I agree!!! The Fu Pa 14 is hands down my FAVORITE brush!!! Congratulations on launching the brush temple! Although this is a big step and you do not get paid for your contributions to the makeup and brush community, someday I feel you will be the person who hopefully gets paid to test out new brushes! They do it with beauty gurus on Youtube for makeup, why not for you? A Youtube channel would do wonders! Although I know you are quite busy with other obligations…SMT is growing fast and with such passion, I hope it can continue to reward you as it already has with meeting so many great people and traveling to Japan. I know you get enough reward by helping people (as do I with teaching a martial art, and it is never about the money), but I hope you can turn this passion into a job, if that is what you wish! It will be awesome to continue to watch SMT grow! My brother is a martial-art teacher too 🙂 and he turned his passion into his daily job, did you too or is it just for passion ? what do you do ? thank you again, you are a real sweetheart! Aww, I appreciate your kind words too. I teach Shobudo Jujitsu, an Okinawan martial art. I started my own class at a local community college this past February and get paid hourly, but it is not my full time gig. I am a Physical Therapist Assistant also. It brings me such joy to learn Shobudo, teach it and try to get better. I have 4 students right now and they are amazing. I used to be the only woman training for almost 4 years in our Association, last year I started teaching and am happy to be bringing more women up through the ranks. Somehow, I feel like it is my responsiblility and obligation to teach the art and yet, particularly help more women into Shobudo as well. To be frank, it is a dying martial art, and I am determined with a small group of others, to not let it die. My husband and I plan to move to Japan this upcoming year. He is an engineer and we want to live there for at least 2 years. While there, I’d like to study another martial art, if I don’t end up in Okinawa. I don’t want to put all my eggs in one basket though. I feel like I need to be as proficient as possible, and then continue to teach when I come back. The details of moving are not concrete but we are determined to make it happen. Once I put my mind to something, there is no stopping me! I would love to visit Kumano to go brush shopping also. 🙂 That is on my to-do list for sure! I see what you mean, it’s sad to see that time can have an impact on arts like this and that you feel sometimes it’s necessary to move on. So interesting the path that you followed, I met just a few people who are as passionate as you about Martial Arts and they were captivating! Lucky you, you will be going to Japan for 2 years ? you are going to love it and you are just at the source!! Keep in touch! Thanks for the reply back, he must be very successful! Wow. I plan to teach Shobudo for as long as I can and make it a lifetime thing. I probably will never stop. While in Japan, I want to learn Iaido to become better at Katana work. Will keep in touch for sure! Hi Vivian, thank you 🙂 happy you like it!!! I came across your blog several months back and now it became my brush wiki. You already got thousand of compliment on your blog and probably one more won’t make any difference but I still feel obligated to write and say thank you for putting your time and effort to help all the brush-ies all over the world finding her best brushes. I got my first Hakuhodo brush order about three weeks back and I understood why brushes had become your passion. My first thought when i opened my package was “should I use them or just put them on a display case so I can just look at them everyday and feel pretty.” G5521, J146, J5529 and large pointed yachiyo are my everyday brushes since. I am still searching for perfect foundation and blush brushes and I am still reading your blog every so often to compare and then adding and deleting my makeup brush wish list (which already has about 10 Hakuhodo and Koyudo brushes) Congrat on a very nice brushtemple website and thank you again for all the useful info. Merry Christmas and happy new year from California. ^_^ look at them and feel pretty… that is an option!!! Once you try Hakuhodo it’s difficult to use other brands that are more widely and easily available, gosh I remember my first order! this takes me back a while ! you are welcome and I wish you to get and enjoy all the brushes on your wish list ! I couldn’t resist myself. I had to stop by Hakuhodo USA in Torrance to pick up couple more J eye brushes on my way to see my mom in southern CA. I also picked up the J544. Currently i am using the Shiseido one but i think this one will help me to get ready faster. I was supposed to pick up G529 which i heard is a pretty good highlight brush but then i ended up pick up the white fan brush instead (completely off track). I’m so excited and can’t wait to try out J5522, J5523, J142 and J5533 (especially J5523 so that i can compare with my current G5523 which i also really like). Oh my dear Sonia, i love your brushtemple!!! I will need to save up for my next Koyudo purchase. Do you know if there is an equivalent of Koyudo brush for J146? I need one more similar to that J146 but i want to try at least one Koyudo eye shadow brush this time. Thank you and happy next year. lol ok 😀 happy you enjoy it Valerie! The quality is outstanding so if they did a J146 with that hair and that density/firmness it would be a hit. Unfortunately there isn’t one. They have a smaller 146 but in grey squirrel and not goat. What a mammoth task you took on here! This will be a HUGE help & a MEGA temptation creator for beginners and brush junkies alike. You must have a serious dose of brush OD right now?! Merry Christmas to you dear Sonia & thank you for the wonderful Brush Temple gift. Did you find a little brush or two under the Xmas tree this year, or are you just all brushed out for the moment? ooooh thank you Buggsiebee!!! the idea is to contribute and help me answer the questions I receive the most because they are often the same, if that helps it will be fantastic!! how were your recent purchases ? I’m a bit brush overdosed at the moment too ;). I am very impressed with the quality of the Chiku Noel set !!! I also love the fushia Kumanofude blush brush ( discovered by Melissa!! ) which I got from the Select Shop. Also loving the new Chiku R- C2 and the Artists Series black in 18-2. I’m such a sucker for blush brushes! I’m also enjoying the Fu-shikaden powder brush a lot more than I was expecting. I was only planning on getting the blush brush, but added the powder one at the last minute too – just to complete the set – and I’m so happy that I did. The ferrules are perhaps a bit more blingy than I would normally go for, but they’re balanced out by the beautiful deep plum red of the handles & they’re very special in my collection – especially since Melissa went to such lengths to help us get hold of the last few available. The Eihodo brushes I got are excellent quality & I look forward to giving them lots more attention in the new year. I am glad you enjoy all that you got, same for me, loving the Fu-Shikaden and I am scared to look at rakuten 😀 so blessed with Melissa -our agent- help !! They are like art to me these brushes, big love. thank you for sharing this info Buggsie! Hi Stacy!! gosh did you ?? thank youuu ! but I am the lucky one because I am finally able to share my passion with you all!!! thank you for telling me, I will check that out 😀 have a fantastic New Year too ! Thank you so much for this brush temple Sonia! I’ve already spent hours on it to! coolcoolcool 😉 thank you Nana! A few nice to have features could be the brush name on the picture in the overview and maybe the brush picture at the top inside the record too. ok thank you Jeanette 🙂 inside the record yes it’s possible but it would require a lot of additional work per brush (if I get what you mean), but who knows, maybe I find an easier way. My mind is always working on new different options. I found one option yesterday.. we’ll see if I can add this little tiny hall tomorrow. 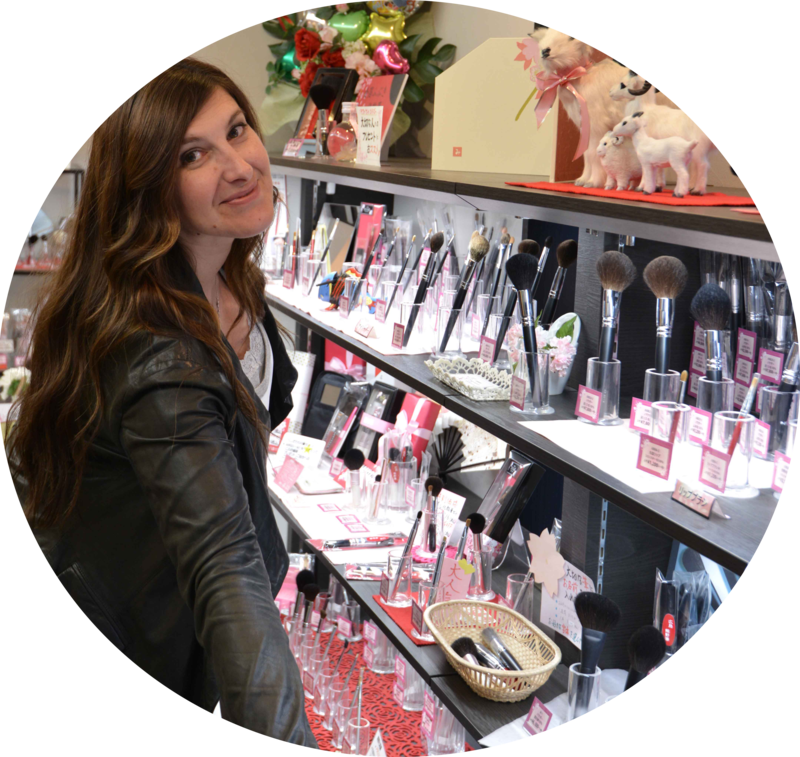 I am indulging in your temple – it is so nice to escape to brush heaven, and there is nowhere in the world other than your blog that provides this overview of so many of the worlds best makeup brushes. We owe you a huge THANK YOU for all your tremendous work!!! it’s my pleasure, so glad it is useful!!! SONIA!!!!!! I was just able to “catch up” with all of your AMAZING work!!!!! thank you Stacy 🙂 glad you like it! I think my boss will send me there this year… and to Hong Kong but not sure 100% yet… cross fingers! Imagine to have the only list that categorize brushes by softness, which ones would be the top 10 for face? and for eyes?